Today we will take a look at a forex broker who holds dual licenses, one in New Zealand and one in Cyprus, and who has been mentioned rather frequently; Exness. 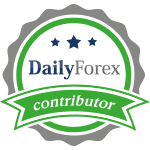 They claim to be designed by professional traders for other traders so let’s take a look at some of the key aspects about this forex broker. Their web design, not a crucial factor at all, has its ups and downs and it would be nice to see Exness fix some of the flaws in order to better present and represent their brokerage. They offer three different account types; mini, classic and ECN and claim to have no re-quotes and automatic withdrawals. They are very transparent with their management team which is a great way to start a new relationship with traders. The biggest problem is that they only offer MetaTrader 4/5 and have nothing else which is a disappointment especially for ECN traders. Overall Exness is a solid forex broker and if they would care to add a different platform for their ECN clients this one could zoom right to the top in this category. Nothing was wrong that stood out and we give this forex broker two claws up; the Last Bear has roared!